Heritage, wildlife and ecology experts will explore the importance of Old Oswestry hillfort as a ‘living monument’ at a forthcoming seminar. From Celtic settlers to present day fauna and flora, the day-long event will reveal how the 3,000 year-old hillfort and its landscape have sustained communities and wildlife habitat through the ages. Speakers will also discuss how 21st century conservation efforts are helping to safeguard the archaeological and environmental value of the iconic site, dubbed the ‘Stonehenge of the Iron Age’. ‘Old Oswestry Past and Future: Landscape, community and heritage’ runs from 10am to 4.30pm at Oswestry Memorial Hall on Saturday 11 February. Archaeologist and hillfort specialist, Erin Lloyd Jones, will consider the social function of Old Oswestry and hillforts of the region within their wider landscape. Sarah Gibson of the Shropshire Wildlife Trust will explain how the changing habitat of Old Oswestry’s ramparts, a designated wildlife site, has provided a haven for different birds, insects and plants through the centuries. The importance of heritage to the landscape and the work of Shropshire CPRE (Campaign to Protect Rural England) provide the focus of a talk by heritage specialist, Carole Ryan-Ridout. Ecological consultant, Clare Knight, will discuss the findings of new reports on the hillfort’s ecology and great crested newt population, commissioned by English Heritage to aid habitat management. 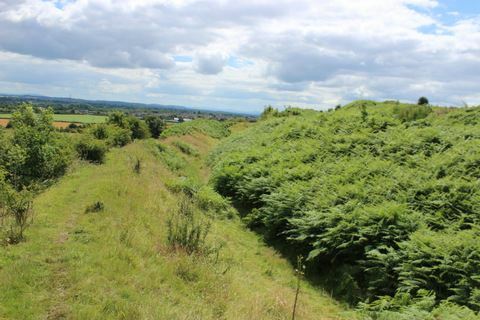 Sharing his experiences of heritage management in the south of England, Clive Whitbourn of the National Trust will highlight approaches to the landscape upkeep of hillforts and other historical sites in Dorset. Archaeologist and illustrator, John Swogger, will talk about the use of comics to facilitate public engagement in heritage based on his widely praised project, Oswestry Heritage Comics. Hillfort herbs are the subject of qualified herbalist Louise Idoux’s presentation, who will examine their varied and often intriguing medicinal and culinary uses. As Shropshire begins a review of its local plan, Dr George Nash will examine issues of neighbourhood planning and the importance of striking the right balance between the natural environment and built development.